Amy Morin is a licensed clinical social worker, instructor at Northeastern University, and psychotherapist. She is the author of the international bestseller 13 Things Mentally Strong People Don’t Do, as well as 13 Things Mentally Strong Parents Don’t Do. Amy serves as a parenting expert for Verywell, and is a regular contributor to Forbes, Inc., and Psychology Today. She is the only person in the psychology industry who is talking about mental strength on a global level. She gave one of the most viewed TEDx talks of all time and was named the “self-help guru of the moment” by The Guardian. She lives in Marathon, Florida. 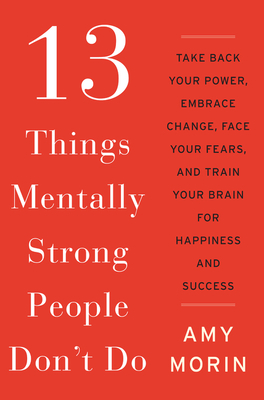 13 Things Mentally Strong Women Don’t Do is her third book.